WHO WAS THE FIRST PERSON EVER TO LIVE THE SEASON OF ADVENT? 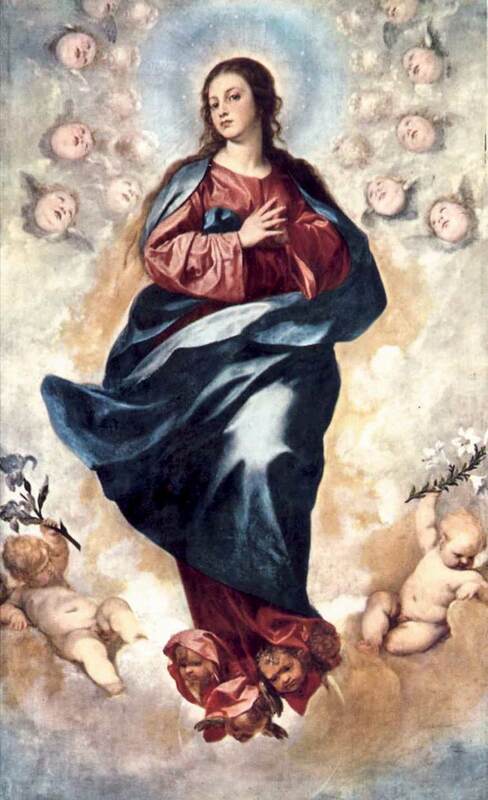 Novena to the Immaculate Conception. In my weekly Catechetical Masses for Grade 4 students in the school where I am one of the chaplains, I always make it a point that the homilies are interactive: I ask the young girls some questions and they, in their candor and simplicity, –admirable traits of children which we adults should never lose –, excitedly reply to all my questions. WHO WAS THE FIRST PERSON EVER TO LIVE THE SEASON OF ADVENT (AS A PREPARATION FOR THE COMING OF OUR LORD JESUS CHRIST) IN THE ENTIRE HISTORY? There was an understandable silence (deafening) …and the parents were looking at one another with perplexed faces, until a dad in a brown suit, with a strong build, confidently answered in a strong bass-toned voice: –“¡San José!” –“Well, St. Joseph rightly lived the Advent season and prepared for the Coming of Our Lord, but he wasn’t the first”, I replied. Several answers then came from other parents: “St. John the Baptist”… “The Virgin Mary”…But I told them that certainly, they expected and prepared for the Coming of Our Lord, but they weren’t the first. So, I turned to the girls and asked them if they wanted to give it a chance…but still…no correct answer. Until I looked to my right and saw MARTA, A LITTLE GIRL WITH DOWN SYNDROME, WHO HAD HER HAND RAISED, EAGER TO BE CALLED, AND SO I DID. SHE SIMPLY SAID: “DIOS” (GOD)…..
“EXCELLENT!,” I said. Interiorly, I was amazed and positively disconcerted by the divine wisdom of a 9 yr-old girl with Down syndrome and I thanked her for giving the right answer. I am convinced that it was the working of the Holy Spirit. GOD THE FATHER WAS THE FIRST PERSON EVER IN THE ENTIRE HISTORY WHO PREPARED FOR THE COMING OF HIS SON, OUR LORD JESUS CHRIST. Immediately after the Fall of our first parents, God already promised the coming of Our Savior through the Blessed Virgin Mary. In fact, the entire History of Salvation, has its center on the Birth of God-made-man, Our Lord Jesus Christ preceded by the sending of the many Prophets announcing his arrival. The fact is, GOD THE FATHER, OUT OF HIS LOVE FOR US, PLANNED RIGHT FROM THE START TO SAVE HUMANITY BY CHOOSING A VIRGIN FROM AN UNKNOWN PLACE IN ISRAEL, THROUGH WHOM WILL BE BORN HIS ONLY BEGOTTEN SON: BUT NOT ONLY THAT. Through a special privilege which only God can give –BECAUSE HE COULD AND HE WANTED TO AND THEREFORE HE DID IT– THE VIRGIN SHALL BE CONCEIVED WITHOUT ORIGINAL SIN, THEREBY, MAKING HER WORTHY TO BEAR THE ONLY-BEGOTTEN SON OF GOD. This is what the Solemnity of the Immaculate Conception of Mary to be celebrated on December 8 is all about. Dear friends, God’s loving fatherly intervention on the Immaculate Conception of Mary is in itself a reminder and suggestion for us on how we are to interiorly prepare ourselves for Christmas: not only through Confession but also through a daily struggle to renounce sin out of love for God, above all, the grave and mortal ones, so that the child Jesus could happily stay in the abode of our soul in grace. Let us elevate our hearts as well in gratitude to God the Father for his love and mercy. or any other thing which comes to your mind in your personal prayer…for LOVE, IN ITSELF, INVENTS AND KNOWS HOW TO SURPRISE J. -Fr. Rolly Arjonillo, priest of Opus Dei, CATHOLICS STRIVING FOR HOLINESS. We are also in Facebook: http://www.facebook.com/CatholicsstrivingforHoliness. Hope you like our page and share our posts in order to help more people.